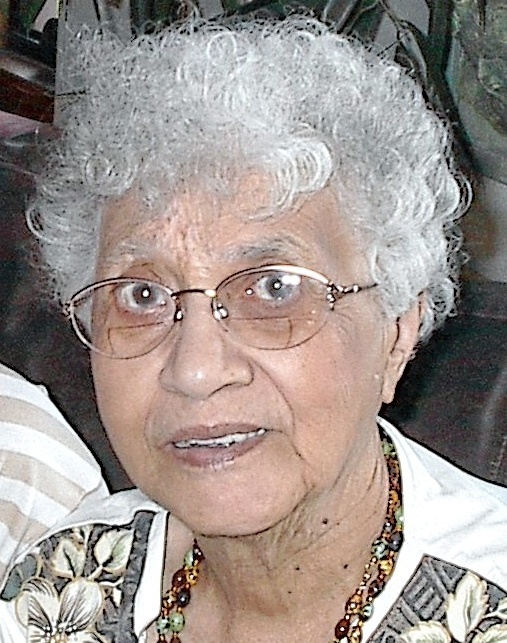 Mrs. Dorothy Bristol, 97, passed away peacefully on Tuesday, December 24, 2013 at the Altamaha Healthcare Center in Jesup, GA.
Mrs. Bristol was born on May 22, 1916 in Brooklyn, New York. She was the last of the two children born to the late Laurence Brown and L’Artermisa Jenkins Brown. In addition to her parents, her sister, Thelma Fullerton, preceded her in death in 2001. Mrs. Bristol was a graduate of Girls High School in Brooklyn, New York. She married Merle C. Bristol in 1935 and bore two children, Rhonda and Gregory. While raising her young children, Dorothy, a homemaker, also took night classes at the Fashion Institute and became an accomplished seamstress. After the children graduated from college, she returned to college and received her Bachelor and Masters' degrees at Brooklyn College majoring in Early Childhood Education. She then successfully taught the primary grades in several New York City Public Schools. Dorothy and Merle visited Fernandina Beach often once retired, further enriching their long-time friendship with Mrs. Alma Kelly, the wife of Ralph Kelly, a native Fernandinian. After the death of her husband of fifty-four years in 1989, Dorothy moved from New York to Fernandina Beach. Once firmly established, she encouraged her two children to consider moving also. Mrs. Bristol was an active member of St. Peter’s Episcopal Church where served on the Altar Guild. In time she was befriended by C.T. Smith, a long time parishioner of St. Peter’s. The pair remained dear friends up to the time of his demise. Dorothy remained an avid reader throughout her life and eagerly undertook the challenge of completing the New York Times crossword puzzles. She leaves her son and daughter-in-law, Gregory and Shun Bristol of Screven, GA, his daughter, Darlene Bristol of Baldwin, New York and her three children, his son, Kevin Bristol of Clifton, New Jersey and his son; her daughter, Rhonda of Fernandina Beach, FL; her daughter Bryn Williams-Meyer of Marina del Rey, California and her husband and son, her son, Walker Williams III and his wife, Jessica of Ft. Worth, Texas an adult son and baby daughter and Maryn Ferguson of Orlando, FL and her son along with two nieces, one nephew and a host of friends. Memorial services will be held at a later date at St. Peter’s Episcopal Church.